Italian wines JO’CAFASSO blossom under the sun of Veneto. From the hills of Conegliano to the plains of Treviso, vineyards are pampered each day to offer proseccos with a sparkling robe, subtle aromas and bubbles with absolute fineness! 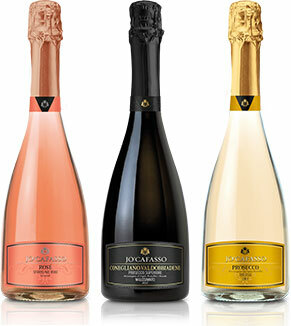 Companions of the best moments, JO’CAFASSO proseccos will delight your meals from aperitif to dessert!